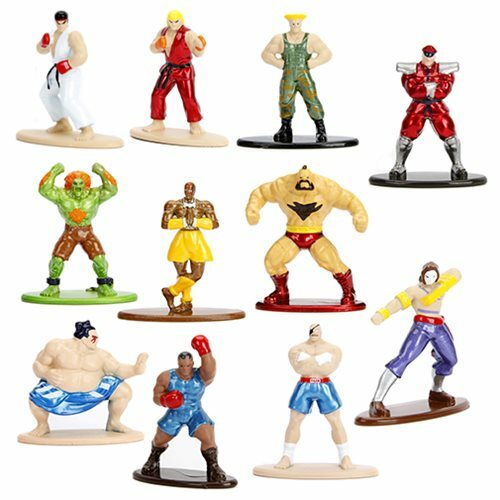 Shopping for Street Fighter Mini-Figures? Bring home an entire collection of dozens of figures that can all fit in your pocket! The Street Fighter Nano Metalfigs Die-Cast Metal Mini-Figures line brings you all the best champions and challengers universe reminiscent of classic metal miniature figures! Each extremely detailed Nano Metalfigs figure stands about 1 2/3-inches tall and is made of 100% die-cast metal. Ages 3 and up.